A typical business-specific window in Great Plains application is presented by .NET form hosting MS Dexterity panel (window or dialog type) that renders custom GUI objects and processes all mouse and keyboard events. 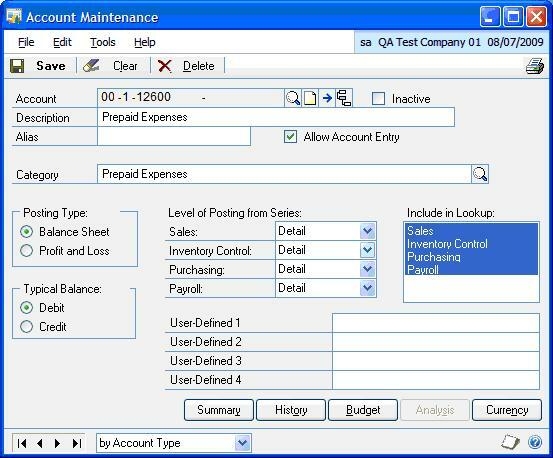 GUI elements include regular controls like buttons, text boxes, list boxes, labels, etc., and complex controls like toolbars, image groups, and input/output tables. Structure and navigation components in Great Plains application are presented by .NET form hosting web-page type panel that renders web-type GUI objects. Objects belong to System.Windows.Forms namespace. 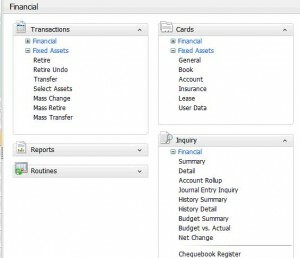 GUI elements that were identified include clickable links and web tables. Dot NET – System.Windows.Forms Table objects – GUI Recognition and Interaction worked well. Dexterity GUI – Non-Windows Platform – GUI Recognition is very poor, some elements (input boxes, check/radio buttons) were completely invisible for the tool. GUI Interaction – didn’t work, recorded as hard-coded events for the parent window. Workaround with using SanScript through COM is possible but due to limitations of trial version (only 2 modules, with a limited number of code lines) could not be implemented as a demo project.